All over Africa, expectations and predictions have gone wild as we await the final matches of the Africa Cup of Nations 2017 today, 29th October, 2017. The men’s team of Egypt shall lock horns with the defending champions and Africa’s highest ranked team, South Africa. In the women’s category, South Africa will face Ghana who are second to them in the Africa ranking. Egypt are 19th in the FIH team ranking and 2nd in Africa while South Africa are placed 15th position in the world and 1st on the African continent. Clearly, it could be argued openly that South Africa with a higher rank, stand a greater chance and more likely to win but it should be noted worthily of their recent encounters and how each team fared. In the last Africa Cup of nations held in South Africa in 2015, Egypt lost closely to South Africa even after taking the lead. 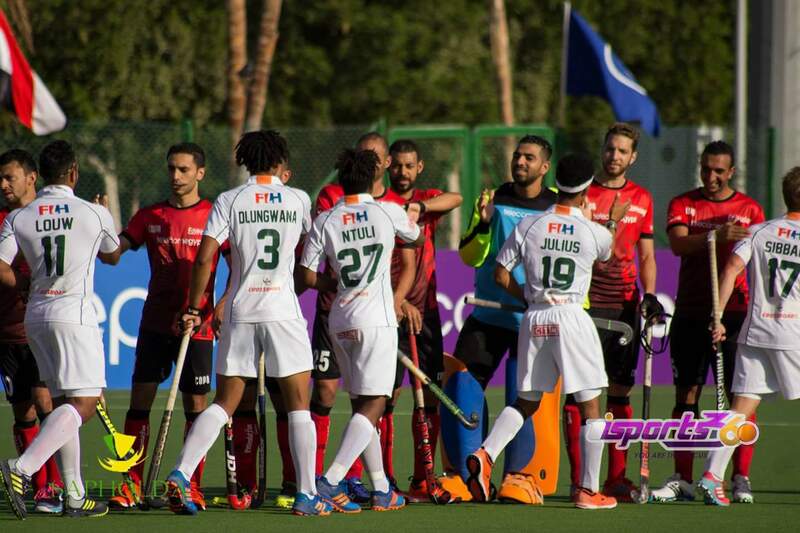 The Champions punished Egypt and claimed the title on home soil after a very tensed game. Moving forward, these two Africa giants met in the Semi-Finals of the World League Series in Johannesburg where the Egyptians held the South Africans to the ground in a 2-1 scoreline. However both teams have had the greatest exposure among teams in Africa and could make up a surprising scoreline wherever they meet. Coming into the ongoing tournament being staged here in Ismailia, these teams drew 3-3 in their encounter and this sends a message across that anything at all should be expected in the final. Aside the trophy, Africa’s sole ticket to the Odisha Hockey Men’s World Cup 2018 is also as stake. In a wild guess, some fans add home support to the odds of winning a game of hockey, but could this really bring forth results? Ghana’s female team lost to South Africa 3-0 earlier in the tournament and are yet to meet again in the final. Ghana has never won against South Africa in the women’s category as far as the last decade. A review of the 2015 final saw South Africa beat the Black Sticks by 3-0 to clinch their 6th title. Ghana are second to South Africa on the continent while Ghana is 32nd in the FIH World ranking, with South Africa placing 13th. With South Africa booking a ticket after qualifying through the Hockey World League in Johannesburg, the pressure is on Ghana as they seek to qualify for their first ever world cup. Maybe it could be clearly predicted of the winner but can Ghana pull a surprise, or South Africa will go on to make it 7 out of 7. Ghana will take on Kenya for the bronze medal in the men’s category while Nigeria will face Kenya in the women category.